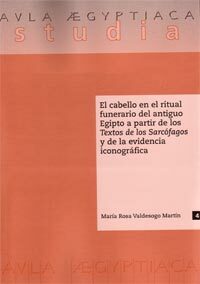 21 cm w.x 29.5 cm h.
Abstract: An exhasutive research on the Egyptian iconography and funerary texts shows that ancient Egyptian hair was necessary in funerals of Ancient Egypt . Among all o them, the two disheveled women in the role of Isis and Nephtys were essential. That ancient Egyptian hair was not just a sign of sadness, but an element full of symbolism, which helped in the dad’s resurrection.